Since her call to the Bar in 1990, Elissa has become an established practitioner in her chosen field. Using a creative and innovative approach to finding solutions to client’s financial matters on divorce, she is also an experienced and principled negotiator as well as an assertive and effective advocate, being National Institute of Trial Advocacy trained. Elissa prides herself on having an ‘inclusive practice’ demonstrating approachability and sensitivity in dealing with alternative family structures.  Indeed, in addition to her practice in Matrimonial Finance, Elissa is also an expert in cohabitation claims of both heterosexual and homosexual partners, including drafting cohabitation agreements at the beginning of the cohabitation and dealing with matters by agreement at its end. Elissa also undertakes work within the Court of Protection. 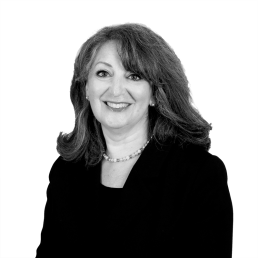 Elissa is an experienced mediator having qualified in 2003 and, as of June 2012, is also an accredited Family Law Arbitrator. Elissa is NITA (National Institute of Trial Advocacy) trained and has created, designed and delivered the Family Electives on the College of Law Professional Skills Course on Advocacy, Interviewing and Negotiating Techniques as well as courses for the Continuing Professional Development of Solicitors. In addition she designed wrote and delivered Advocacy Training Courses for family practitioners in conjunction with Resolution and the College of Law. Elissa is based in central London but is happy to travel. In her limited free time she is a formidable Scrabble player, card player and budding novel writer. I want you to know that when you use me you can trust me with your information. I am determined to do nothing that would infringe your rights or undermine your trust. This Privacy Notice describes the information I collect about you, how it is used and shared, and your rights regarding it. All the information that I hold about you is provided to me by you when you seek to use my services. I will tell you why I need the information and how I will use it. My Lawful Basis is you consent and my Legitimate Interest is that you are either a client, member, pupil, student, employee or otherwise in the service of the controller. Where any part of our processing includes automated decision-making, I ensure that the proposed decisions are revealed to you before being applied. You will always be able to get an explanation for the decision and to challenge it if you are unhappy with it. I do not transfer any information outside of the EEA. The General Data Protection Regulation gives you specific rights regarding your personal data. For example, you have to be informed about the information I hold and what I use it for, you can ask for a copy of the personal information I hold about you, you can ask me to correct any inaccuracies in the personal data I hold, you can ask me to stop sending you direct mail, or emails, or in some circumstances ask me to stop processing your details. Finally, if I do something irregular or improper with your personal data you can seek compensation for any distress you are caused or loss you have incurred. You can find out more information from the ICO’s Ibsite http://ico.org.uk/for_the_public/personal_information and this is the organisation that you can complain to if you are unhappy with how I deal with you. You may opt out of receiving emails and other messages from me by following the instructions in those messages. I will occasionally update our Privacy Notice. When I make significant changes, I will notify you of these through either mail or email. I will also publish the updated Notice on chambers’ website.